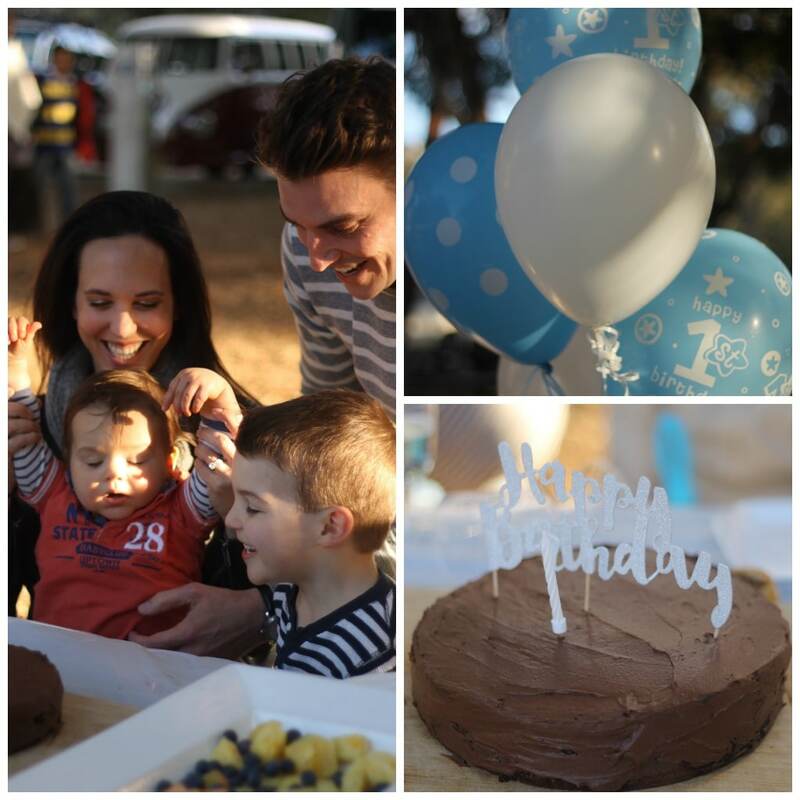 It was Cooper’s first birthday last month and gosh – where did the time go? 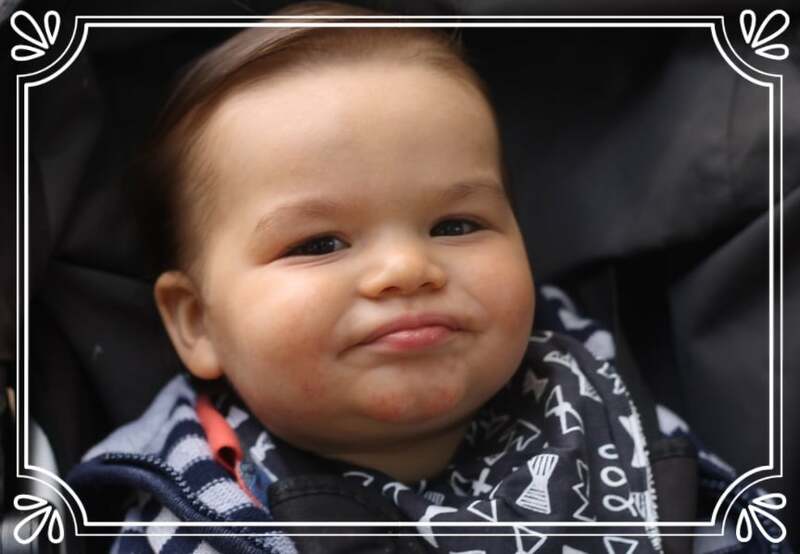 I admit life felt like ground hog day for quite a while there, but then all of a sudden, out of nowhere he’s walking, giving me some attitude and then turned one! So that meant PARTY time. 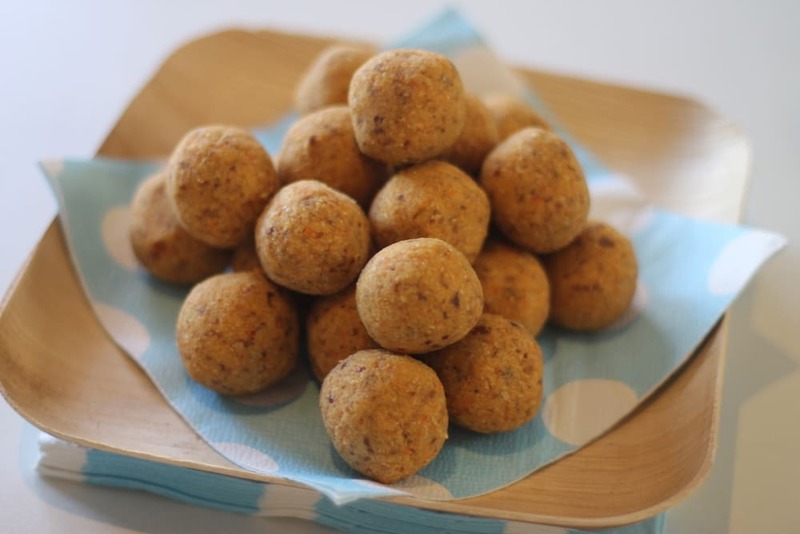 I must admit I love providing healthy and nutritious homemade party foods for my boys. It’s become a thing of mine, and they’ve always been an outright success, the food disappears, there’s no tantrums and the parents feel good that their kids are eating nourishing food. But this year was a whole new level to whole food parties. Cooper is allergic to dairy, soy, eggs and peanuts. Talk about restrictions! 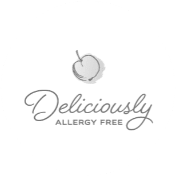 Plus I wanted to still keep out the usual offenders including processed sugars, refined flours and all those nasty chemicals from preservatives and additives, that can make kids go kind of loopy (very loopy). So it dawned on me, this was the first birthday party that had to be dairy, soy, egg, nut, wheat, gluten and refined sugar free. Seriously, what was everyone going to eat, and how was I going to pull it off!? I certainly don’t want to spend hours in the kitchen stressing. That’s not what birthday parties are about. I wanted to have fun with my family and friends and spend some special time with my birthday boy. Amazingly after all these whole food birthday parties I’ve hosted, this was the lowest stress yet. The parents were asking for the recipes and questioned how I managed to get it all done. So I thought Id write a blog about it so you too can realise how easy it is. I have to say the cake and icing was the BEST! So if you just take note of the recipe for that, my job is done. 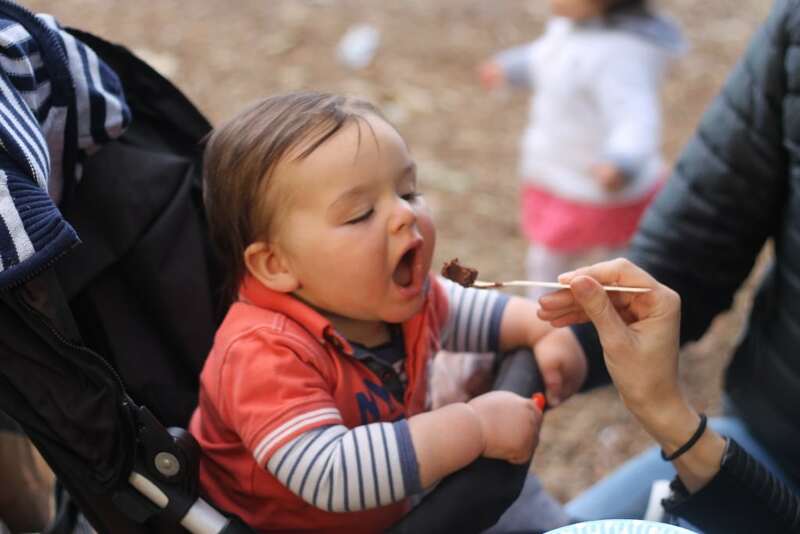 So here’s what I did for little Coops allergy friendly birthday party, and how I broke it up into really manageable portions so it was easy and stress-free. 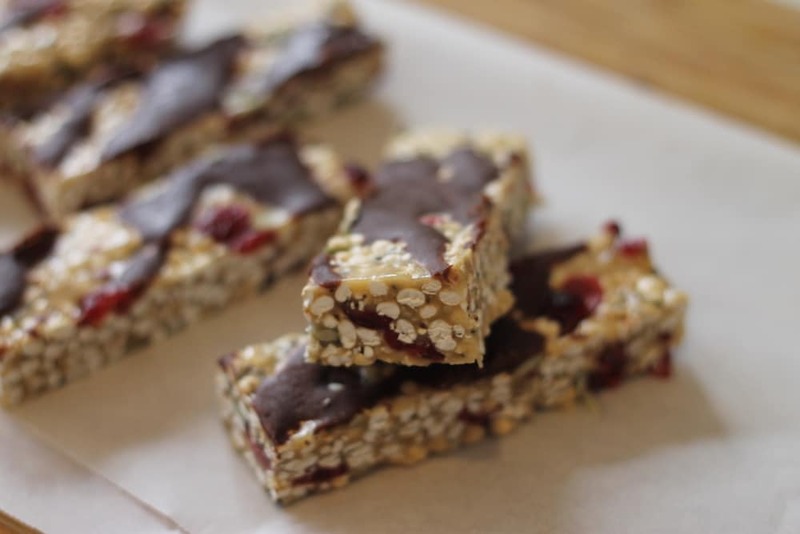 Dairy, soy, egg, nut, wheat/gluten, preservative and refined sugar free party spread (jam packed with everyday nutrient dense whole foods). Enjoy! I wasn’t super fancy here. I just cut up seasonal fruit including watermelon, melon, pineapple and scattered some blueberries around and popped them all on a large dish. I’m so mindful of the washing up too, so I keep dishes to a minimum. Less time washing in the kitchen means more time celebrating. I simply cut up some carrots, celery, capsicum and cucumbers and placed them in a large container with water in the fridge to keep them fresh. When I was ready to serve I just drained the water and placed in another large serving dish. I don’t peel the vegetables, that takes extra time and you end up removing a lot of the nutrients. 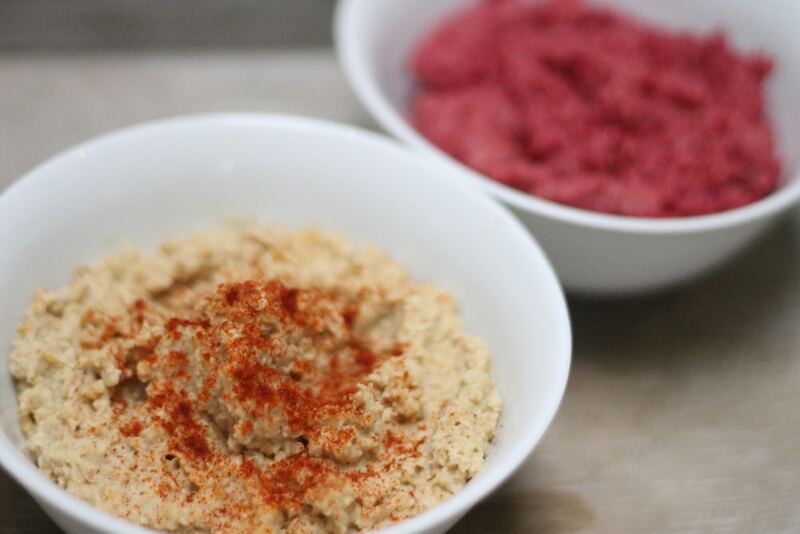 So easy to make just pop all the ingredients in a blender and you’re done. Here’s my recipe, which everyone enjoyed. To get super fancy, divide the mixture in two and add half a beetroot to one of the portions to make two flavours, with just 2 minutes of extra time! Opened some organic bags of popcorn and popped into bowls (took all of 60 seconds)! I choose slightly salted, GMO free and preservative free. These ones just had three ingredients: corn, salt and oil. Too easy. 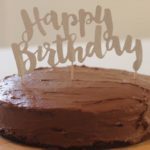 The BEST dairy free chocolate icing for the two-tier cake (preparation time – 15 minutes including decorating). OMG this icing is insane…and good for you! It’s my absolute all time favourite. Pop all the ingredients in a blender and fall in love with avocados at a whole new level! Intrigued? If you thought a cake without butter, sugar, eggs and flour couldn’t taste great then I’m delighted to show off this baby. This cake doesn’t rise so I made a double batch to make two tiers. Allow more time if you just have one cake tin and an uneven oven and have to bake separately. This cake is simple, highly nutritious and most importantly…has serious yum factor. The kids (and parents) came in for seconds, so you know its good. For decorations I just iced the cake (see recipe above) and used a Happy Birthday sign topper. Whole food goodness and nothing else. 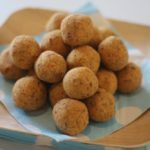 Unlike most bliss ball recipes these don’t contain any nuts and I managed to sneak in a couple of carrots. Went down a treat. Once made, store in the freezer and when you’re ready take them out onto a serving dish or jar and they’ll thaw pretty much straight away. 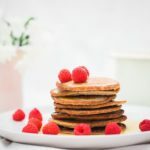 This is the most popular recipe on my blog and on social media with more likes and shares than any other. Great for parties and also school lunch boxes. These keep fresh in the fridge for up to two weeks. 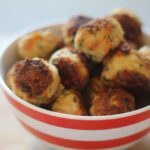 These chicken balls are very moorish and are packed with awesome protein and delicious vegetables. On the day of the party I just removed them from the freezer to thaw before taking them to the park. Easy. For the party favours, again I kept it really simple. I didn’t want Cooper getting his hands on anything ‘contaminated’ that might strike a reaction so I just bought those jumbo bubble sticks for a $1 each. The boys ended up using them more as lightsabers and the girls made beautiful bubbles which seemed to mesmorize and entertain my one year old to no end. As for drinks, water for the kids and some wine, beer and champagne for the adults. 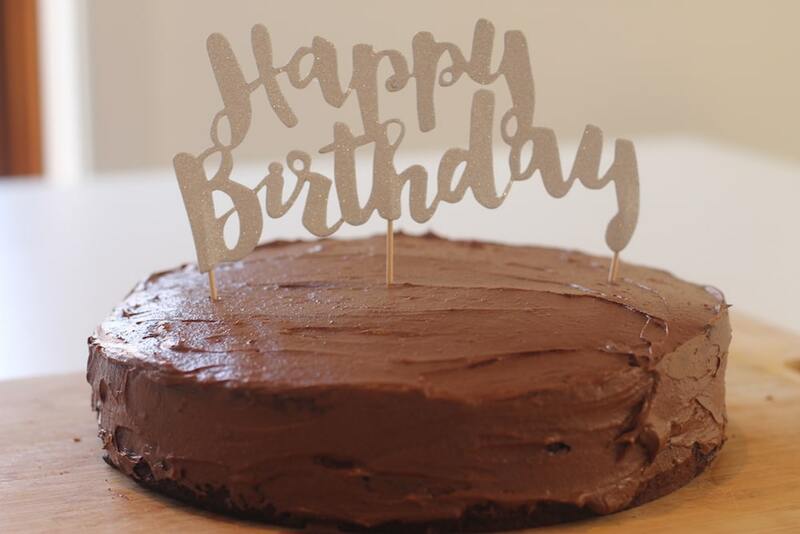 We made it to the first year…allergies and all, so we celebrated big. 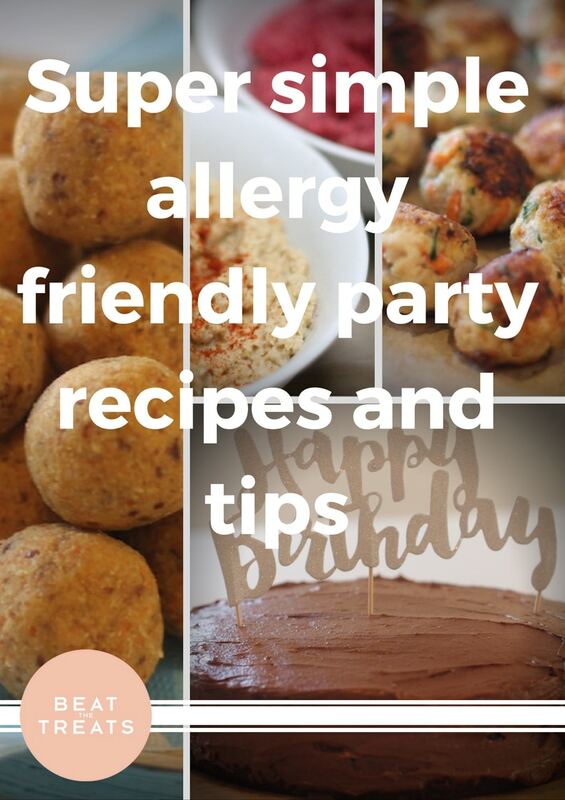 So you can see that hosting a birthday party whether it be for allergies or keeping it clean with unprocessed whole foods, you really don’t need to spend much time in the kitchen or go to extreme lengths. They key is to be a bit organized, break it up over a few days into manageable portions and make no more than 2-3 cook or bake items. That way you can enjoy yourself with everyone instead of feeling exhausted and stressed. What was so noticeable was how relaxed and enjoyable the kids were. As the party was free of any preservatives, additives and lots of refined processed sugars all the kids had a great time. There were no tears or tantrums, so that meant the parents also enjoyed themselves and relaxed. Cooper having his first ever bite of cake. He was an animal! Just loved it and so did I…full of goodness for his sensitive little tum. I hope you’ve found this helpful. If you did, feel free to share this article with your friends. 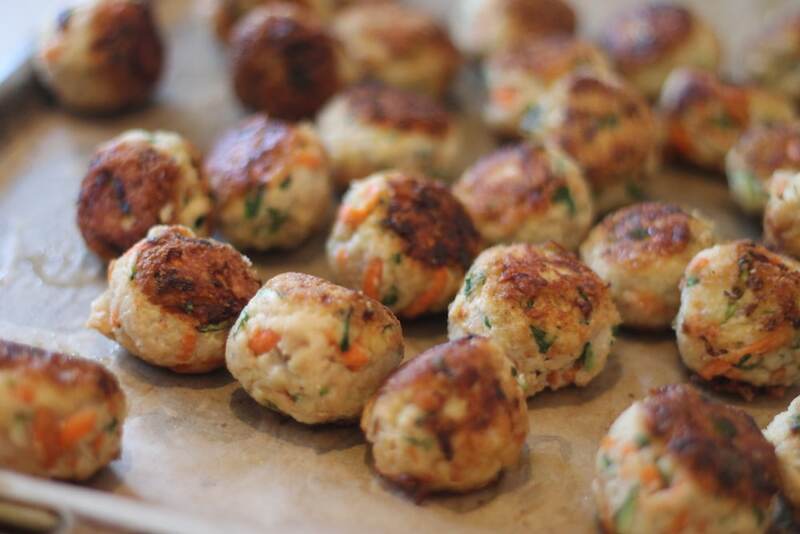 Wouldn’t it be great to attend more parties made with real food that actually nourish our kids? 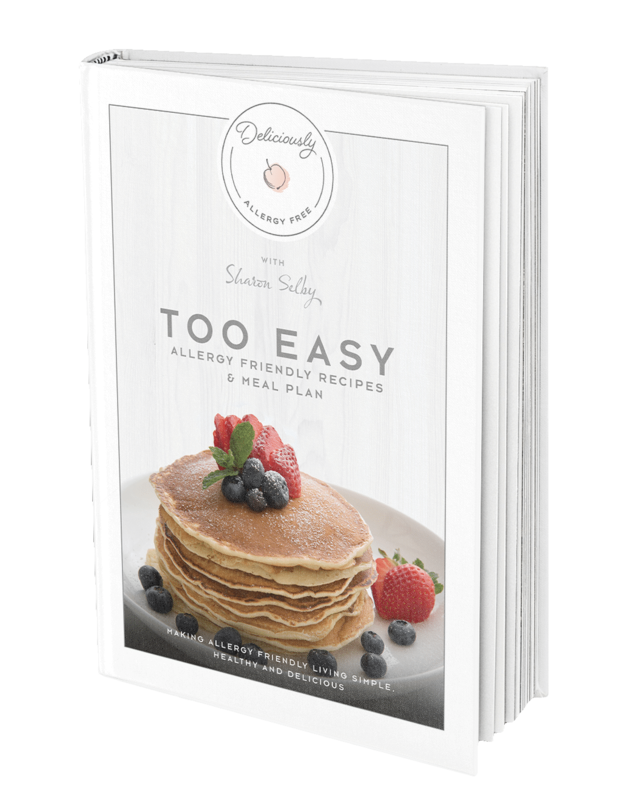 Share the post "Super simple allergy friendly party recipes and tips"
Fresh fruit and veggies is always a good bet for parties. 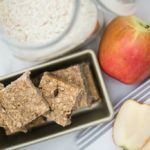 Nearly everyone can eat those and they’re healthy!